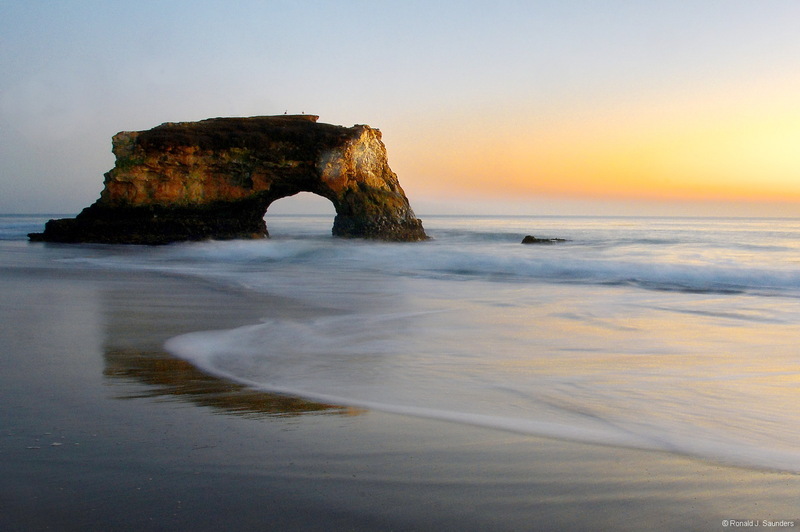 A sunset view of the arch at Natural Bridges State Beach. The beach features picturesque arches cut out by ocean waves in a sandstone out-cropping, giving the park its name. The annual migration of monarch butterflies is another featured attraction. Photo © copyright by Ronald J. Saunders.